A Future for Kurdish Independence? The Kurdish independence referendum of September 25, 2017, has proven thus far to be an ill-conceived high-risk gamble. For while more than 92 percent of voters supported Kurdistan's independence, the harsh reaction by the Iraqi, Iranian, and Turkish governments, coupled with the near-total lack of international support for the move, dealt the referendum's result a mortal blow and drove Masoud Barzani, longtime president of the Kurdistan Regional Government (KRG) in northern Iraq, to resign his post. In February 2016, Masoud Barzani, then-president of the Kurdistan Regional Government, declared the Kurds' intention of holding a referendum on independence. The September 2017 referendum had more than 92 percent support for independence from Iraqi Kurdistan's voters but met with a near-total lack of international support. There have been many calls for a referendum on Kurdistan's independence in recent years—mostly during crises between the KRG and the Iraqi government or when Iraq's territorial integrity seemed to hang in the balance. In July 2014, for example, the Iraqi army collapsed in the face of the offensive in Kurdistan by the Islamic State of Iraq and Syria (ISIS), and the central government and the KRG were embroiled in a prolonged stalemate about the province's oil exports. Barzani then declared Kurdish intentions to hold a referendum on Kurdish independence. In November 2015, a referendum committee was established, which also examined autonomy and independence movements in places such as Scotland, Catalonia, and Quebec. 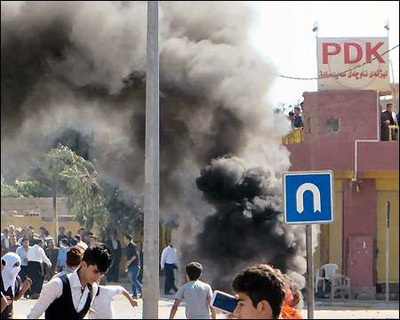 Kurdish protesters attacked KDP offices in Iraqi Kurdistan, October 10, 2015. A crisis developed when Kurdish political parties were unable to agree on the powers of the presidency. Pay delays to civil servants exacerbated the crisis, and riots erupted in Sulaimaniya and Halabja. The debate about the referendum sharpened the deep tribal schisms and bitter rivalries between the two main nationalist forces within Iraq's Kurdish community—the Kurdistan Democratic Party (KDP), founded in 1946 under the leadership of Mullah Mustafa Barzani, and the Patriotic Union of Kurdistan (PUK), created in 1975 by Jalal Talabani. In the aftermath of the 1991 Kuwait war, with the founding of the autonomous Kurdistan region, the rivalry between the KDP and PUK escalated, culminating with a bloody civil war in 1994-98. This led to Kurdistan's partition into two regions with separate governments, administrations, military forces, and security agencies, each dominated by the respective parties. The dialogue initiated in 2002 between Masoud Barzani (Mullah Mustafa's son and successor) and Talabani led to the Kurdistan Regional Governmental Unification Agreement at the beginning of 2006. This laid the foundations for the unified autonomous Kurdistan region and enabled the two parties to dominate the KRG and its organs, including the Peshmerga forces, with each party retaining influence over the units drawn from areas traditionally under its control. In 2009, a group of PUK secessionists led by Nawshirwan Mustafa, formed a new party, Gorran (Change). Its demands included budgetary transparency; an end to political party intervention in the Kurdish armed forces; genuine democratization; elimination of rampant corruption, nepotism, factionalism, and inefficiency in the KRG administration as well as full unification of the two Kurdish zones. incorruptibility, winning 25 of the 111 seats in the Kurdish parliament and achieving a majority in a traditional PUK stronghold, the city of Sulaimaniya. In the 2013 elections, Gorran's 24 seats made it the second largest Kurdish party after the KDP (38 seats) and ahead of the PUK (18 seats). These achievements have changed the nature of the Kurdish political scene in Iraq from a two-party system into a triangular one. The remaining seats were won by three Islamist parties (17 seats) and by national minority factions: Assyrians, 5; Turkmens, 5; leftist parties, 2; Kurdistan Communist Party, 1; and Armenian, 1. Gorran draws its support from the growing, young, educated, urban middle class and reflects the changes in Kurdish society following rapid urbanization, the expansion of higher education, and changes in traditional employment patterns. The effects of global modernization and the policies of suppression favored by past Iraqi governments, notably Saddam Hussein's policy of transfer and deportation, caused much destruction in Kurdish society and hastened internal changes. The social developments since the end of the civil war, especially since the unification of the two parts of Kurdistan controlled by rival parties, accelerated the urbanization and the development of schools and universities. These trends contributed to the growth of urban society, in which the share of the educated middle stratum is steadily increasing. However, the political struggle in Iraqi Kurdistan reflects deep contradictions. There is a need to reconcile the political considerations of a national movement—which is still struggling for independence or autonomy and whose leadership has been shaped through bloody military conflict—with the building of a state based on a rapidly urbanizing society, whose middle class has adopted individualistic, capitalist, and consumerist values. The expanding middle class requires new job opportunities for both educated and uneducated young people; a dynamic, diversified (and not exclusively oil-based) economy; and a democratic, transparent, non-corrupt and nonviolent political system. Still, despite its wide support, Gorran has an inherent, structural weakness compared to the two historical parties. The KDP and the PUK control the mechanisms of the Kurdish state-within-a-state, its security agencies, and the Peshmerga forces as well as its major financial and telecommunications companies. Gorran's foothold in these foci of power is very limited, and its members claim they are discriminated against. According to the unratified Kurdish constitution, the president can hold office only for two terms and cannot be a candidate for a third term. Gorran thus insisted that Barzani, who held the presidency since June 2005, could not stand for a third term, not least since his second term in office was already extended in 2013 beyond that permitted by law. Gorran and PUK also demanded that parliament elect the president whereas the KDP insisted on general elections and on Barzani staying in office until the national struggle achieved its goals. The two parties called for this change especially in view of the threat posed by ISIS, the crisis between the regional government and the Baghdad government, and the pending historic decisions about Kurdistan's future. Barzani himself claimed that constitutional conduct must be subordinated to the unfinished national struggle: "The day we have an independent Kurdistan, I will cease to be the president of that Kurdistan." Yet Gorran accused him of timing the referendum to strengthen his position and to enable him to illegally retain the presidency. The autumn 2015 failure of the five main Kurdish parties (KDP, PUK, Gorran, and two small Islamist parties) to reach an agreement over the presidency, its constitutional powers, and term in office, led to a political crisis. With the crisis exacerbated by worsening economic conditions including long delays in the payment of salaries to civil servants, riots broke out in Sulaimaniya and Halabja in eastern Kurdistan where demonstrators attacked and burned the KDP offices. The KDP quickly accused Gorran of inciting the violence, and on October 11, Parliament Speaker Yusuf Muhammad Sadiq (of Gorran) was prevented from entering the parliament building in Erbil, leading to the effective suspension of the legislature's activities. Two days later, Prime Minister Nechirvan Barzani dismissed four Gorran ministers from his cabinet. The reconciliation talks were complicated by the absence of Gorran's leader Mustafa, who was in Europe receiving medical treatment. During the autumn and winter of 2015-16, the PUK wavered between preserving its alliance with the KDP and fear of Gorran's growing popularity. In the end, the PUK and Gorran were pushed toward cooperation by two factors: Gorran's inability to compel the KDP to accept its demanded reforms and the PUK's weakness in the face of Gorran's popularity. 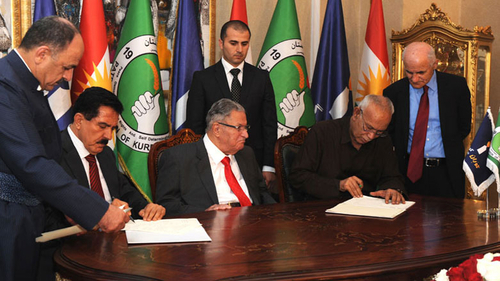 On May 17, 2016, the two parties reached an agreement to form a PUK-Gorran alliance, which created a parliamentary bloc of 42 versus the KDP's 38. The Kurdish PUK and Gorran parties signed a bilateral agreement for unification, Sulaimaniya Province, May 17, 2016. The alliance created a parliamentary bloc of 42 versus the KDP's 38. The situation was further complicated in September 2016 when, following the exit from the political scene of the ailing Talabani, the PUK split into factions: one led by Talabani's wife Hero Ibrahim Ahmad and Mala Bakhtiar; the other headed by Kosrat Rasul and Barham Salih. Nuri al-Maliki (right), former Iraqi prime minister and head of the "State of Law" coalition, met with leaders of Gorran and PUK, including PUK's Mala Bakhtiar (left), Sulaimaniya, July 19, 2016. Later, Maliki declared that the quest for Kurdish independence was unrealistic and baseless. The 2015-16 crisis enabled the central Iraqi government to meddle in Kurdish domestic politics to weaken the KRG and prevent the planned referendum. Vice-president Nuri al-Maliki, former Iraqi prime minister, leader of the Shiite Islamic Da'wa party, and strongman within the powerful "State of Law" coalition in the Iraqi parliament, expressed his strong objection to the Kurdish referendum. In a June 2016 trip to Kurdistan, he did not visit the capital Erbil and refrained from meeting KDP leaders. 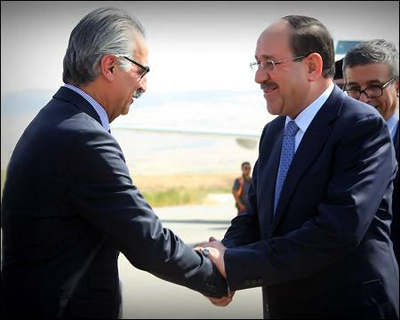 The following month, he met the leaders of Gorran and PUK in Sulaimaniya and congratulated them on the agreement. It appeared that Maliki hoped to prevent the Kurdish referendum by encouraging opposition to Barzani. After his Kurdistan visit, he declared that Gorran and PUK were opposed to seceding from Iraq and that the quest for Kurdish independence was unrealistic and baseless. Maliki's other aim was to win support of Gorran-PUK members in the Iraqi parliament in Baghdad in order to strengthen his position for a renewed bid for Iraq's premiership against Prime Minister Haider Abadi, who enjoyed the KDP's support. No less important, the Kurdish political arena became a playground for the regional powers, which exploited the intra-Kurdish differences and the struggles in Turkish-Iranian and Iranian-Saudi relations. By way of strengthening its position vis-à-vis the KDP and the Baghdad government, the PUK developed a special relationship with Iran with the party's deputy leader Barham Salih visiting Tehran on August 8, 2016, to discuss bilateral issues and broader Kurdish politics. In August 2016, the KRG and the Baghdad government reached an agreement to export oil to the Turkish port of Ceyhan and to share revenues. The PUK leadership accused the KRG of unfairness in spending the revenues. KRG officials accused the PUK of selling Kirkuk's oil to Iran and pocketing the revenues. The presidential office responded on August 22 by announcing that Barzani accepted an Iranian invitation and would visit Tehran, only to have him travel to Ankara the next day to meet with Turkish president Recep Tayyip Erdoğan and Prime Minister Binali Yıldırım. The contrasting approaches to Turkey came to a head in early October following the deployment of Turkish troops in Iraqi Kurdistan. Although the Turkish prime minister presented the intervention as acquiescence in Barzani's request to train Peshmerga fighters, parliamentary members from Gorran, PUK, and three small parties (Kurdistan Islamic Group, Komal Islamic Movement, and Kurdistan Communist Party) condemned the move as illegal and a breach of Kurdish sovereignty and demanded the immediate withdrawal of the Turkish forces. On October 30, a high level PUK delegation met in Tehran with foreign minister Mohammed Javad Zarif, who called for preserving the unity of Iraq and warned of Saudi machinations to meddle in Kurdistan. Disputes over the oil in Kirkuk worsened in August and September 2016 as did relations between the KDP and the PUK. On August 29, the KRG and the Baghdad government reached an agreement to export 150,000 barrels of oil per day through the Kurdish pipelines to the Turkish port of Ceyhan with revenues shared between the governments. The PUK leadership opposed the agreement and accused the KRG of lacking transparency and fairness in spending the revenues. In response, KRG officials accused the PUK of selling Kirkuk's oil via trucks to Iran and pocketing the revenues. These disputes notwithstanding, in the summer of 2016, the three parties intensified their efforts for intra-Kurdish reconciliation. Within this framework, Gorran's speaker of parliament Sadiq announced his readiness to leave his post if this were to ease political tensions while Fuad Hussein, Barzani's chief of staff and special envoy, held meetings with representatives of Gorran, PUK, and the Islamist parties. Kurdistan seeks independence not secession from Iraq. 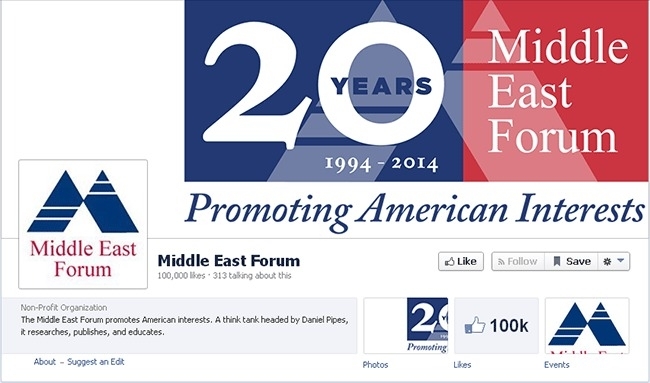 We do not look to break away from Iraq. It is wrong to argue that the Kurdistan region asked to secede; we asked for independence which is our natural right. We will discuss it with Baghdad, and there should be an understanding with Baghdad on this. In another round of talks in October 2016, Barzani and Abadi reached certain understandings though the two foremost problems remained unsolved: the regular transfer of the KRG's share in the national budget in accordance with the Iraqi constitution, especially remuneration of state employees, including the Peshmerga in Kurdistan; and the Kurds' continued insistence on retaining the disputed territories between the KRG and Iraq retaken from ISIS. The unsettled issues also played a part in Iraqi parliamentary debates on the 2017 national budget. The KDP claimed that the budget failed to allocate the necessary funding for civil servants and Peshmerga salaries yet found the funds for al-Hashd al-Sha'bi, the Tehran-backed umbrella organization of Shiite militias operating in Iraq. The differences between the KDP and the Gorran-PUK alliance came to a head when Gorran, the PUK faction led by Hero Ibrahim, and the Kurdistan Islamic Group joined the Maliki faction to pass a law that legalized al-Hashd al-Sha'bi and approved the 2017 budget. Boycotting the vote on the national budget, the KDP accused the PUK and Gorran of preferring cooperation with Maliki over the KRG's interests. Confronted with a political deadlock, a severe economic crisis, and growing signs of discontent among the Kurdish population—especially teachers and government employees, whose salaries were delayed—Barzani took the initiative and urged the political parties to reactivate the Kurdish parliament, to appoint a new government, and to elect a provisional president before the looming 2017 elections. The initiative led to a series of meetings between representatives of KDP, PUK, Gorran, and several small Islamist parties in an attempt to renew the alliance between KDP and PUK while avoiding pushing Gorran to opposition. This required considerable compromises on the KDP's part, and some suggestions in this direction were indeed made, such as giving the speaker of parliament position to PUK. Meanwhile, some PUK activists proposed reunifying the party with Gorran while others focused on mending the rift between the PUK's rival factions. However, in spite of all these efforts, the PUK, the KDP's main partner and rival in the management of the Kurdish region, sank into domestic struggles and disintegration. In the last days before the referendum, international pressure on the Kurds to postpone the vote intensified. The Iraqi foreign minister, together with his Turkish and Iranian counterparts, warned of a joint harsh response should the referendum be held. Turkey's National Security Council described the referendum as a threat to Ankara's national security while a Turkish presidential spokesperson warned: "If the referendum is not cancelled, it will have serious consequences." These warnings were accompanied by the deployment of Turkish and Iranian forces along their respective borders with Iraqi Kurdistan and the initiation of military exercises there. Once the referendum was held, the three governments derided the move as unlawful and demanded its immediate abrogation. Turkish president Erdoğan threatened to shut down oil exports from the KRG while the Iraqi government announced a series of countermeasures: a ban on direct inter-national flights to Kurdistan; closure of foreign representations in Erbil; and a demand that border crossings and airports in the Kurdistan Region be placed under federal control. Most importantly, on October 16, the Iraqi army, backed by Shiite militias, opened an assault on the oil-rich city of Kirkuk and its environs, which had been held over the past three-and-a-half years by the Kurds. As the dominant PUK faction ordered the Peshmerga units under its control to vacate Kirkuk without informing the KDP, or even other PUK factions, the latter found their position untenable and, before long, withdrew from the city. Lacking international support, faced with public anger over the fall of Kirkuk, and riven with resurgent feuds following the latest setbacks, the KRG felt unable to resist the united Iraqi-Iranian-Turkish front and, on October 24, proposed a freeze on the referendum results in exchange for "beginning an open dialogue between the Kurdistan Regional Government and the federal government on the basis of the Iraqi constitution." This was not good enough for Baghdad, which insisted on cancelling the results of the referendum altogether before any dialogue could begin. Yet given Prime Minister Abadi's need for the Kurdish vote in the forthcoming May 2018 Iraqi elections, he seems amenable to some kind of compromise. For his part, Barzani may also welcome an agreement that will help erase the post-referendum setback. 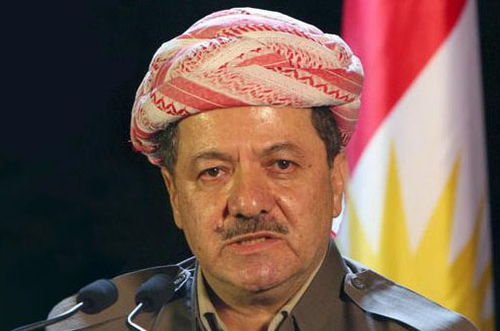 Although Barzani resigned the presidency on October 29, he still retains much of his political power through chairmanship of the Political Leadership Council (comprising the KDP and a PUK faction headed by Kosrat Rasul) and family control of key KRG positions, notably the premiership and the security services. The 2015-17 crisis and the referendum reversed the achievements of the Kurdish national movement and disrupted the tortuous building of a-state-within-a state in Kurdistan. Having taken the high-stakes gamble of holding a referendum without securing the necessary domestic and international support, the Kurds found themselves internationally isolated, facing combined Iraqi-Iranian-Turkish pressure, and domestically divided as Gorran and part of the PUK accused Barzani and the KDP of using the referendum as a ploy to strengthen their political standing without considering its full consequences. sympathy for Kurdish national aspirations, yet failed to construct a nonviolent, transparent, corruption-free political system or to build a strong and diversified economy. The new leadership's ability to build the Kurdish autonomous region within a federated Iraq while laying the groundwork for independence will depend first and foremost on the ability of the three main parties to set aside their historic rivalries and unite around a broad agenda that will ensure political stability, uproot rampant corruption, and ensure employment and economic prosperity. Michael Eppel is professor emeritus at the University of Haifa and Oranim College. The New York Times, Oct. 29, 2017. Ofra Bengio, The Kurds of Iraq: Building a State within a State (Boulder: Lynne Rienner Publishers, 2012); Natali Denise, Kurdish Quasi-State: Development in Post-Gulf War Iraq (Syracuse: Syracuse University Press, 2010). Ekurd Daily (New York), Oct. 2, 2013. Rudaw (Erbil), Mar. 23, 2016. Ekurd Daily, Oct. 12, 2015. Ibid., May 17, 19, 2016. Kurdish Globe (Erbil), July 26, 2016. Ekurd Daily, Aug. 24, 2016. Ibid., July 25, 31 2016; Rudaw, July 26, 2016. Hürriyet (Istanbul), Sept. 23, 2017. Related Topics: Kurds | Spring 2018 MEQ receive the latest by email: subscribe to the free mef mailing list This text may be reposted or forwarded so long as it is presented as an integral whole with complete and accurate information provided about its author, date, place of publication, and original URL.